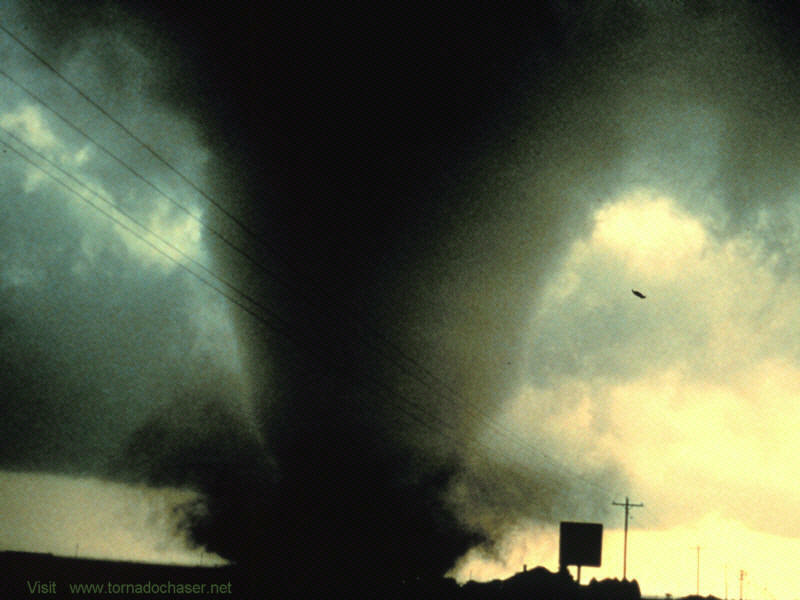 There is so much to learn about tornadoes as a storm chaser. You need to have a well rounded understanding to stay safe or it could cost you your life. We have put a lot of information on our site to help you learn about severe weather and tornado safety whether you are at home protecting yourself and your family or you are a storm chaser. 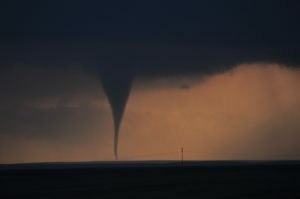 Check out all our other pages to learn more about tornadoes and severe weather. 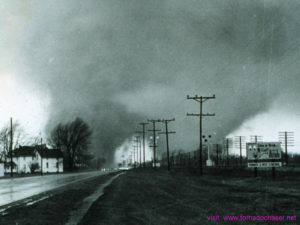 Historical tornado photos can be found by clicking here. These include some rare photographs of tornadoes. While there are many higher quality tornado photos that storm chasers capture today, these older photos give you a piece of tornado history that we should never forgot. Click the photo to see these incredible tornado photographs of yesteryear. The most recent large dual tornadoes event was on June 16, 2014, the Pilger Tornado Event. 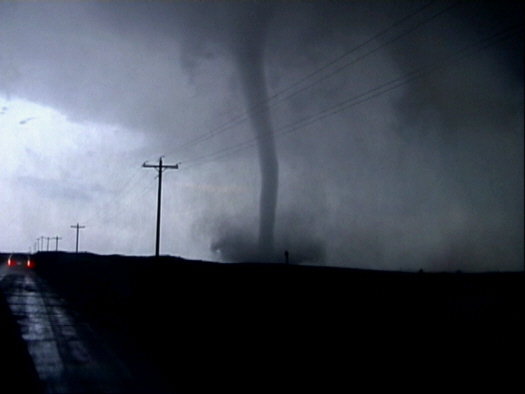 Many storm chasers filmed the one-of-a-kind twin tornadoes in Nebraska. Click here for Kansas Tornado History of deaths by tornadoes. 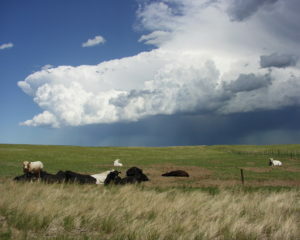 Kansas is well known for being tornado alley. Who hasn’t heard of the movie Wizard of Oz. Poor Dorothy finds out she isn’t in Kansas any more and Toto her dog came along for the ride. In the 1939 movie The Wizard of Oz, the dog Toto was played by a brindle Cairn Terrier. Greensburg Kansas tornado is just one of the many killer tornadoes listed on that page. As you go down the long list of deadly tornadoes that have hit Kansas over the years you will quickly see why it was a fitting state for the story of Dorothy and the Wizard of Oz. 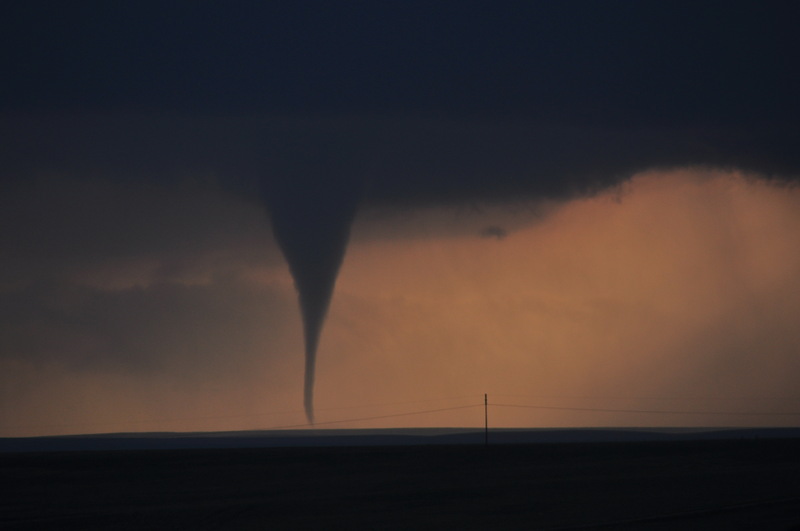 Have you ever wondered where exactly is Tornado Alley. Well, deciding where Tornado Alley is, is not as simple as you think. On this page you will read about the different variables that go into making Tornado Alley maps and why they don’t all look the same. Included in this page are some very detailed thoughts into what we are even calling Tornado Alley. 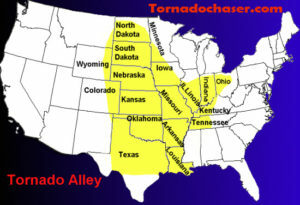 Is it possible there are many Tornado Alley’s in the US? Some experts believe so, and so do I. The longer I chase storms the more I see some areas in the US are their own Tornado Alley region. Click here to read all about it. Have you ever wondered what it takes to make a tornado. Well wind shear, jet streams and many other factors go into the making of a tornado event. What is a supercell and why do storm chasers talk about them so much? Have you heard the term CAPE? What is cape and how does it effect storms and tornado intensity. Well all of these are discussed on this site just click the links for each subject and start to learn more about tornadoes. Storms hitting ceiling or CAP that prevents them from building any higher. thousand feet above the ground, which suppresses or delays the development of thunderstorms. Air parcels rising into this layer become cooler than the surrounding air, which inhibits their ability to rise further and produce thunderstorms. As such, the cap often prevents or delays thunderstorm development even in the presence of extreme instability. However, if the cap is removed or weakened, then explosive thunderstorm development can occur. The cap is an important ingredient in most severe thunderstorm episodes, as it serves to separate warm, moist air below and cooler, drier air above. With the cap in place, air below it can continue to warm and/or moisten, thus increasing the amount of potential instability. Or, air above it can cool, which also increases potential instability. But without a cap, either process (warming/moistening at low levels or cooling aloft) results in a faster release of available instability – often before instability levels become large enough to support severe weather development. What is CIN and how does that effect storm chasing. Convective Inhibition(CIN or B-) – A numerical measure of the strength of “capping,” typically used to assess thunderstorm potential. Specifically, it represents the cumulative effect of atmospheric layers the are warmer than the parcel moving vertically along the adiabat. Low level parcel ascent is often inhibited by such stable layers near the surface. If natural processes fail to destabilize the lower levels, an input of energy from forced lift (a front, an upper level shortwave, etc.) will be required to move the negatively buoyant air parcels to the point where they will rise freely. Since CIN is proportional to the amount of kinetic energy that a parcel loses to buoyancy while it is colder than the surrounding environment, it contributes to the downward momentum. So as a storm chaser, when CIN is strong you know there is the possibility that storms may not even develop that day even though the CAPE may be high. Convective temperature is the approximate temperature that the air near the ground must warm to in order for surface-based convection to develop, based on analysis of a sounding. 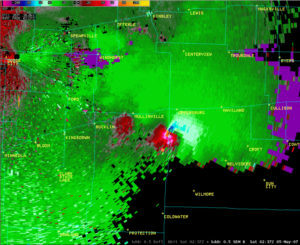 A tornado has been sighted or indicated by weather radar. There is imminent danger to life and property. Move to an interior room on the lowest floor of a sturdy building. Avoid windows. If you are in a mobile home, a vehicle or outdoors, move to the closest substantial shelter and cover your head to avoid flying debris. Local NWS offices issue warnings. Warnings typically encompass a much smaller area, around the size of a city or small county. Warnings are issues when a tornado is spotted on the ground or identified by a forecaster on radar. Definitions taken from Tornado-Brochure-062717 NWS weather.gov site. Are you writing a report on storms? Tornado term paper writing assistance from experts.